LA JOLLA—The Pew Charitable Trusts announced today that Eiman Azim, an assistant professor in Salk’s Molecular Neurobiology Laboratory, is one of 22 researchers to be named a Pew Scholar in the Biomedical Sciences. Each scholar receives $240,000 over four years. Additionally, Azim is one of a subset of five Pew Scholars selected for support by the Kathryn W. Davis Peace by Pieces Fund, which focuses on investigating health challenges in the brain as it ages. 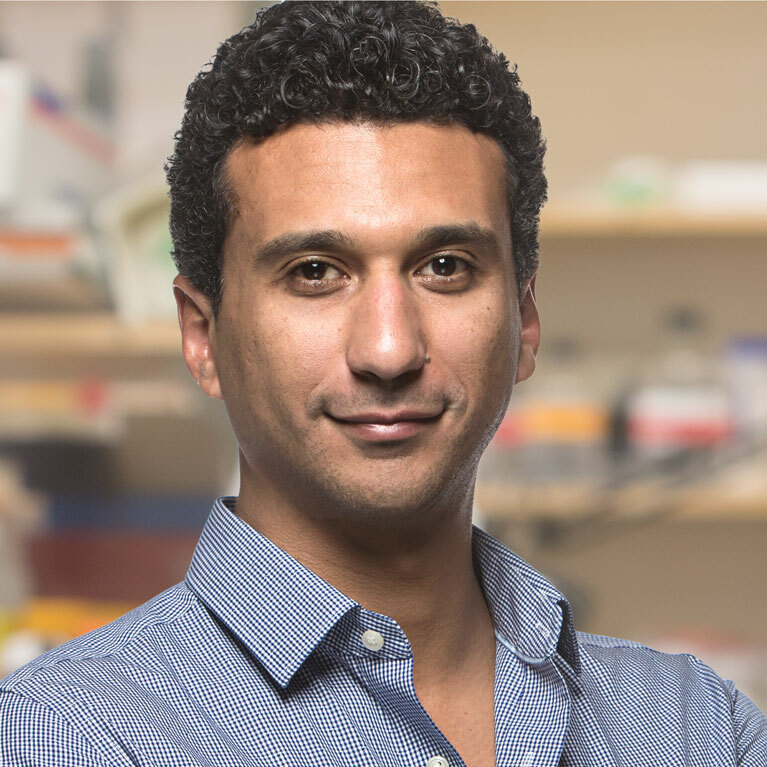 Azim, who in April 2017 was also named a Searle Scholar, explores the neural pathways that orchestrate skilled movements, using modern genetic tools in mice to identify how neural circuits in the brain and spinal cord control a diverse set of dexterous behaviors like reaching, grasping, climbing and eating. By using an array of cutting-edge techniques in neurobiology, genetics and computer vision, Azim records from and selectively manipulates discrete classes of genetically accessible motor circuits, monitoring how these pathways are involved in different aspects of motor control. By using novel behavioral tools to gain a more comprehensive understanding of the neural basis of skilled motor output, Azim hopes to deepen understanding of how the nervous system controls movement, progress that could lead to approaches to restore function in motor circuits affected by injury or disease. Pew’s 2017 scholars—all of whom hold assistant professor positions—join a thriving community of more than 900 biomedical scientists who have received awards from Pew since 1985. The scholars are chosen from nominations made by approximately 180 leading academic and research institutions. Each year, current scholars come together to discuss their research and learn from peers in fields outside of their own.